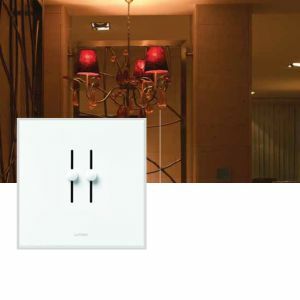 The Lutron Lyneo Dual Slide Dimmer is an ideal replacement for a single 2gang light switch with normal mains voltage light bulbs (not lamps fitted with low voltage transformers - in this case use the Lutron Rania Dual Dimmer). If you have a single gang switch then use the Lutron Lyneo SingleSlide Dimmer. If you are looking for a quality light dimmer, modern style, simple operation, then the Lutron Lyneo dual slide dimmer will be a perfect addition to your home.